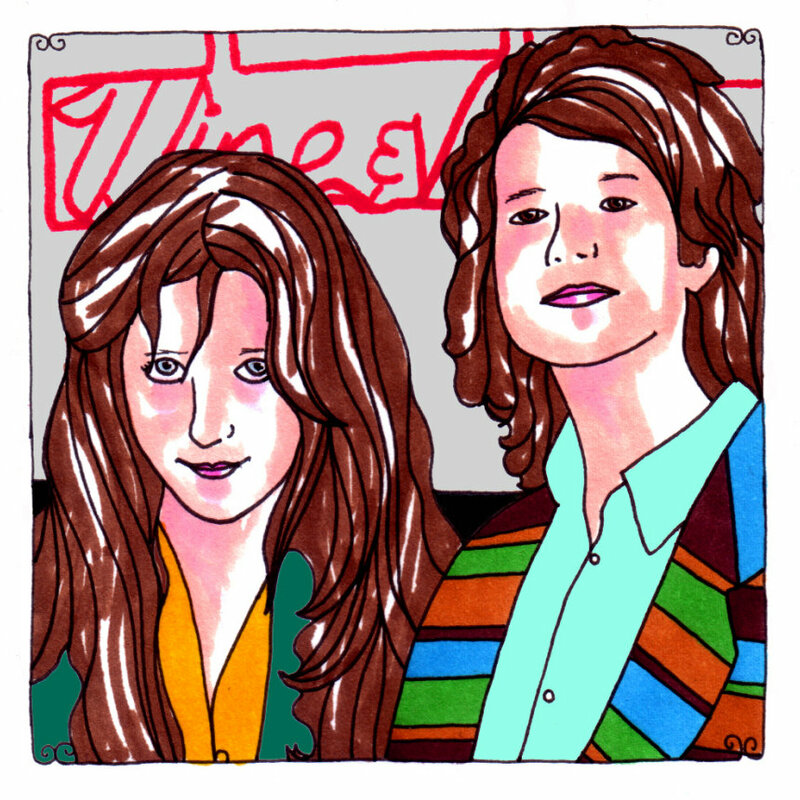 We think that Beach House is defraying quite a lot in its introduction, with Victoria Legrand suggesting that she's welcoming all to the "magic that is Daytrotter." It gives us an idea though. It's never seemed more appropriate than right now to borrow her thought of magic and reverse it, throwing it back at the absolutely MAGICAL group from Baltimore, led by Legrand and Alex Scally. These two, and their traveling group of musicians, have quickly become one of the most unbelievable acts of the saints or else just something holy and unexplainable. There must be tricks, smoke and mirrors involved in sounding so precious and important - actually making music that will unquestionably stand the test of time. It takes magic to do something like that. It's not easy. These are songs that are laid out like a fine suit or a beautiful heirloom of a wedding dress, placed on the edge of a perfectly made bed, in a room flooded with some of the warmest, most blinding and awesome sunlight imaginable. They are songs, like those items of clothing, that you are almost scared of touching or getting closer to, afraid that they're just too idyllic the way they are now, not rumpled or creased, just quiet and unfussy, not needing you to be complete. Legrand and Scally make music that feels as if humans have had very little to do with it (which only makes it sound that much more impossibly spellbinding and almost eerie), as if the cries and curiosities of souls come straight from the infinite - where all is a little more clear. Within that infinte-ness, you feel a lonesomeness that borders on a spell that takes a special snowfall or the kiss of true love to crack, to wash away. It feels as if we're lingering and drifting with Legrand as she spills all of these vague memories and trippy fears of never correcting this stumbling, this bumbling that is growing older and further apart from loved ones. It's as if the embraces that should mean so much - the ones that could sustain her protagonists - are always going to be in some kind of holding cell or existing only as transparent mirages, just swung through like a foggy collection of ghost matter by needy arms. "Take Care" features Legrand singing about the image of a snake in the same lake of two swimmers - at once seeming real and then turning out to be fake (or dead) and a heartbeat's consulted. She sings, "I'd take care of you/If you'd ask me to, in a year or two…/You say swimming in the lake/We'll come across a snake/It is real and then it's fake/Feel its heartbeat/Feel what you heat/Far so fast it feels too late/I'll take care of you/If you ask me to," and it's this deception that she plays with often. There are deceptive embraces, loves fading and causing a bleary drowsiness that's hard to get over, hard to manhandle into submission. So many of the flickering images that she presents in these masterful dirges of grief and sadness are the results of deceptions and their lukewarm shadows, how they're still acting on her. Often mentioned are the wild children and a wild-eyed fever that's been sunken into a lonely remembrance of the past. It's this wildness that's slowly drying up as time takes over. It's as if a piece of the spirit gets extinguished in a slow burning death that Beach House knows all too well about.